Paddling the North Thompson River, from the boat launch at Ferry Road, Blackpool, BC (near Clearwater, BC) to our eventual take-out at the boat launch on MacArthur Island, North Kamloops, BC. About 122 km's, give or take a few km's. This has been a long time in coming. A trip I have planned many times in my mind, since my childhood. First started getting serious in 2011, when my son and I first wanted to do this trip. High water that year postponed that trip. 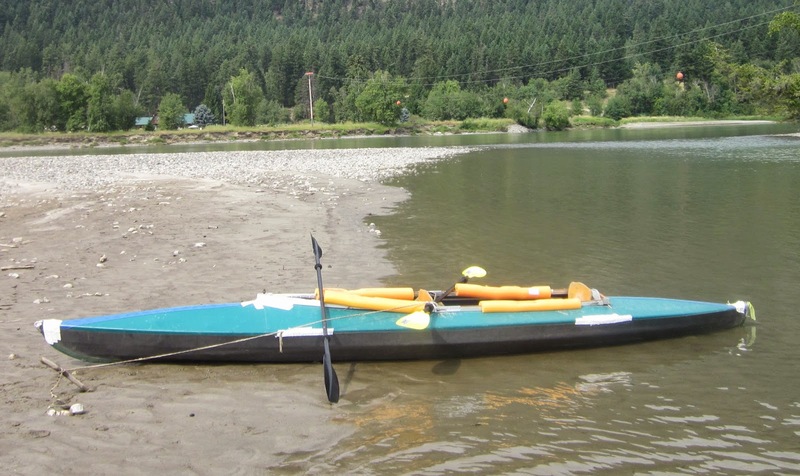 2012, we were busy with our cross-Canada trip and were unable to squeeze in a river trip. 2013, we had a bit of extra water in the Southern Alberta area and did not make a BC trip. 2014, time off - check. Travel to BC - check. Weather - check. Folbot - check. Gear - check. Camera - check. We are GTG, good-to-go!!! Put-in set for Monday 11 August 2014 at 0900. 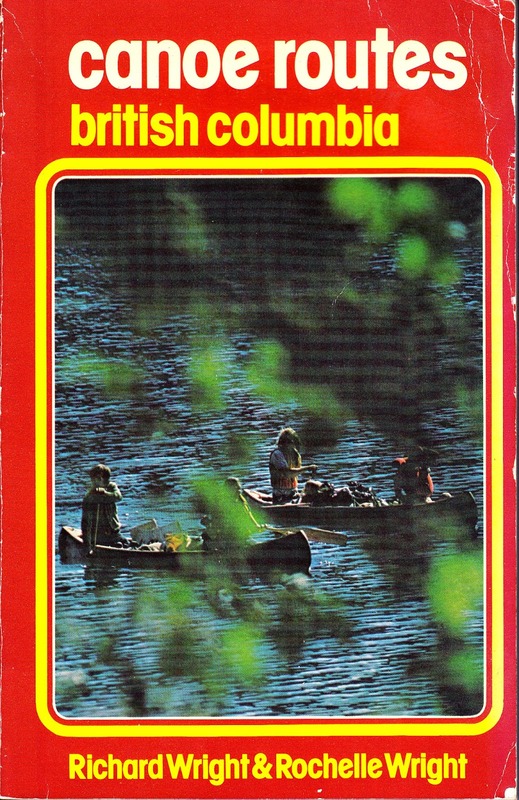 I have also had a copy of the Wright's Canoe Route British Columbia in my library for years. Finally, I get to put that info to use. Unlike, many route guides these days - this guide book does not take-away the adventure and exploration experience. 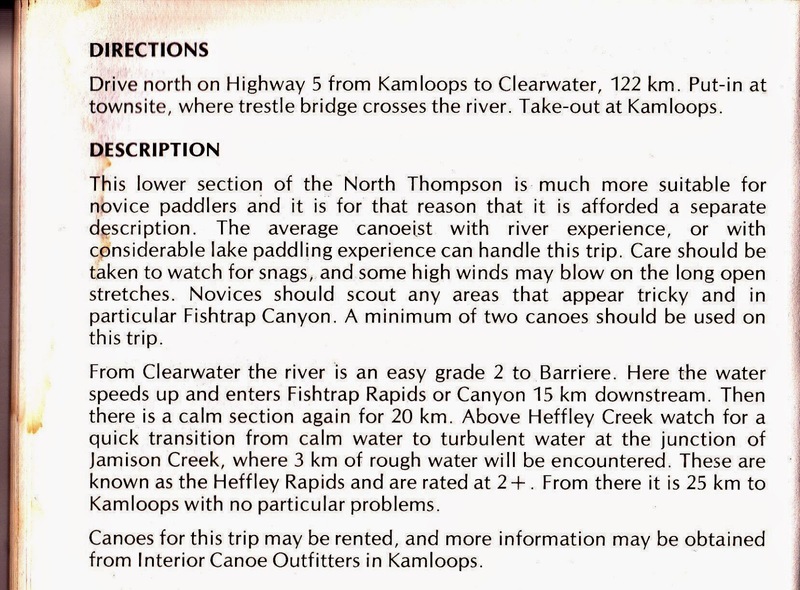 This guide book gives you the information you need to know, identifies hazard areas, recommends good river navigating behaviours and then leaves you and your crew to discover the river. As we planned to use a kayak, we were not particularly concerned about the splash effect of the rapids. We were looking forward to the fast water. Here is a picture of our mighty vessel. The Folbot Super, 16' 10" in length and about 34" in beam. Tipping the scales around 86lbs dry, it is a serious contender. For those not familiar with Folbot or other "folding kayaks", let me digress for a moment. When not in use, my kayak can be taken apart and stored in two duffle bags. It has a wood and aluminum frame that is pressure/tension fitted into a vinyl skin. Much like the traditional Inuit kayaks that have seal skins on a wood frame. The trip from Clearwater/Blackpool to Little Fort, was uneventful. The water had a good current and we encountered few obstacles. We stayed far enough offshore to avoid all the sweepers. 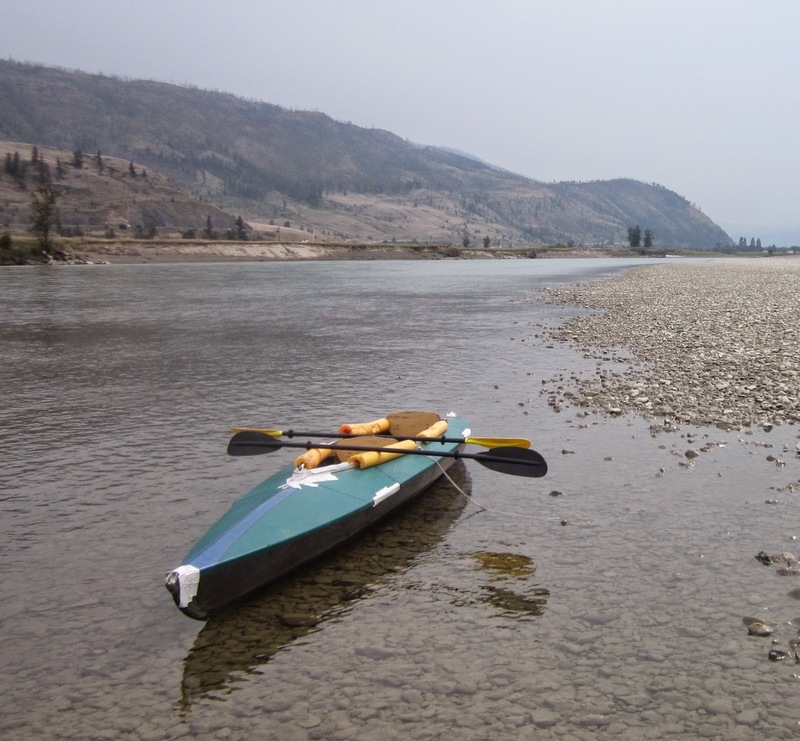 For those new to river paddling the Clearwater to Little Fort stretch is a great afternoon or morning trip. We made good progress until we were near Darfield, then the river slowed right down until we went under the bridge into Barriere. A few more hazards, like deadheads and complete trees stuck in the middle of the channels, but most were large enough to navigate around with good warning. We did avoid a few that were hidden just under the surface. 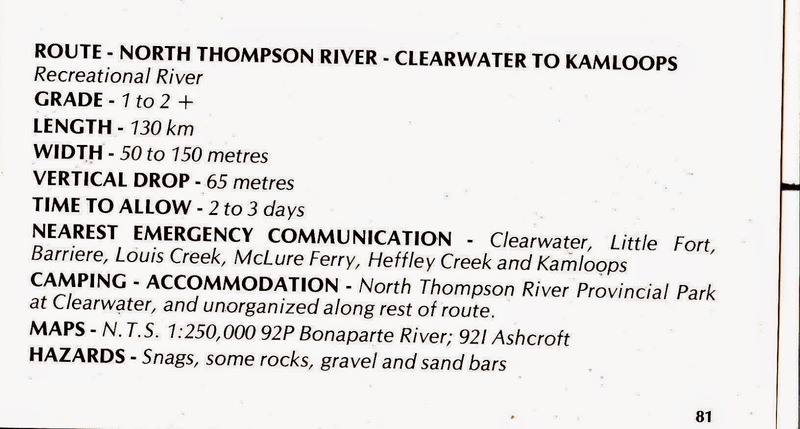 We made camp on the sandy beach near the confluence of the Barriere River into the North Thompson. We arrived before 1745. It was a scorcher of a day, we didn't even see a cloud until the day ended. Looked like a new wildfire was starting out near Adams Lake or nearby. Bivy bags on the sand and a full moon overnight. With the fire ban, we did not get to enjoy a campfire. Next time. I snapped a couple pictures in the dark. The moon over the paddles turned out pretty good. We were on the water after a lazy morning on the beach, probably around 0830. It was not clear like the day before. We both said, I hope that is smoke in the sky. We had a 7 day forecast that showed sunny and mid to high 30's. No mention of cloud or rain. Day two, started with some good paddling right out the gate. The rapids at the bottom of the Fish Trap Canyon, were a great joy. Good place to practice before our visit to the Heffley Rapids later in the day. We tried to stop every couple of hours to stretch our legs and to get a snack and more photos. Even with our Therma-Rest seat cushion, I can believe saddle sores would occur if sitting in the kayak for too long. We saw a fair amount of wildlife along, over or near the banks. Bald & Golden Eagles, Ospreys, Ducks, Canadian Geese, King Fishers, Kites, Herons, Vultures and Swallows. There was also some four legged friends: Deer and a brown bear. Below the McLure Ferry we again entered some slow water, which end abruptly when we entered the Heffley Rapids. These rapids gave us some thrills and thankfully no spills. We did fall off the flow into an eddy at one point, but a quick eddy turn had us riding the rapids in short order. From about Rayleigh to the take-out at MacArthur Island, we again had some slow water and got a lot of practice paddling. So glad, we had double-bladed paddles and a kayak, instead of a canoe. Otherwise, we would have really had a workout. Hope you like the pictures. Until next time....Take your kids out camping and paddling. Someday, they will thank you! !